The most difficult task for an attorney to deal with regarding motorcycle accidents is overcoming the biases and prejudices within society who tend to place the blame on the motorcyclists. Even when the motorcyclist was operating within the confines of the law, there is a stereotype and a prejudice towards motorcyclists for whatever reason, whether because of the media, movies or portrayals on TV. The outlaw motorcyclist is a negative stereotype and it gets cast on law abiding citizens who just happen to choose to ride a motorcycle. The person should make sure they hired an attorney who was experienced in personal injury matters and represented victims of accidents. If it was specifically a motorcycle case, then they should also make sure that the attorney had experience handling motorcycle accidents. They should be aware of the laws related to the operation of a motorcycle, and they should have experience in that area of the law and been successful when representing victims of that type of accident. How Does An Attorney Get Paid For A Motorcycle Accident? 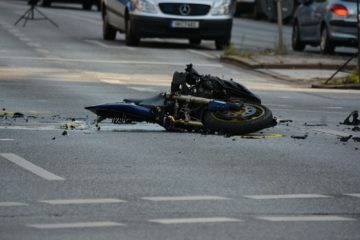 The attorney for a motorcycle accident would be paid on a contingency basis, so that there would be no fee if there was no recovery or if the case was not successfully prosecuted. 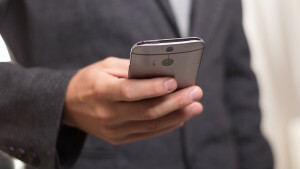 Typically, the attorney’s fees would be a third if the case was resolved with the insurance company without the necessity of filing a lawsuit, and then depending on the circumstances of filing a lawsuit or going to trial, they could increase up to 40 percent depending on when and if the case was settled while on the road to having a trial. Should The Victim Of A Motorcycle Accident See A Doctor Or Should They Contact An Attorney First? I always recommend that if someone is in pain, they should see a doctor and get checked out because their health would ultimately be the most important thing regardless of who was at fault for the action or regardless of whether or not they had a case, because they should go to the doctor and obtain medical care. They should seek advice as to the legal components of the case once it was established that they were medically stable. What Would You Want Readers To Know In Regards To Motorcycle Accidents? People should not jump to any conclusions regarding who may be at fault or who may be responsible for the accident. If they suffered a significant injury, it would always be worth their time to at least talk to an attorney because consultations are free. They should get the opinion of somebody who had dealt with these types of cases because they may see a case even where the person would not see a case or they may see some proportional liability from which there might still be a substantial recovery for the client. For more information on Choosing An Attorney for a Motorcycle Accident Case, a free initial consultation is your next best step. Get the information and legal answers you’re seeking.